Gibson tried their cakes once before when the Dolce Dessert Cafe was newly opened, but he was not impressed. However, he had to change his mind recently after trying their fruit cake tarts. It was his colleague’s birthday. Dolce Dessert Café is closest to his office, so he rushed over there to get a decent size of cake for the birthday surprise, and he purchased a whole Mango Cake Tart for RM60. The surprise went well with the delicious cake and everybody was happy. So he went back to the café again the following day and bought 5 types of flavor. A piece of the cake tart costs RM13. According to the shopkeeper, the pieces were cut out from the larger size whole cake that sells for RM110. However, what Gibson purchased for the birthday is way cheaper and suitable for a small group party. First recommendation will be their Mango Cake Tart. A generous amount of Mangoes cube covering the top and inside there are more mangoes. The Tart that taste a bit like butter cookies is the best combination for the Mangoes cake. If you like sour, Strawberry Cake Tart is your choice. They also cover the cake inside out with Strawberries. What about having both Mango and Strawberry in one cake? The Mango Strawberry Cake Tart is what you looking for, so thoughtful right? Some of you might prefer the Mixed Fruit Cake Tart, which has Peaches in between the cake and several other fruits to cover the cake, including Longan, Kiwi, Apple and Mango. Longan Fruit Cake Tart by having Longan inside out with a touch of strawberry and blueberry is the simplest version of their cake tart. Address: No. 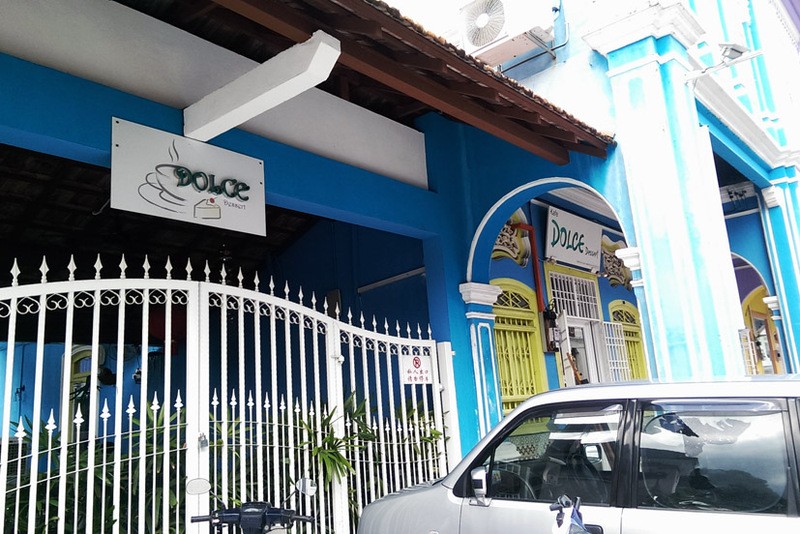 18 , Jalan Kek Chuan, 10400 Penang, Malaysia.